It's important to be in the habit of saving money regularly. Your savings will provide a cushion for you if you have unexpected expenses pop up in your budget or if you were to suddenly lose your job or take a pay cut. Having savings will also provide you the means to reach your financial goals. If you are not regularly saving money, it's not too late — here is a plan that can take you from an empty account to a healthy nest egg and change the way you handle your money. A budget will help you diagnose your savings problem. You may have an income problem where you do not make enough to cover your basic needs. You may also have a spending problem, as in you may overspend in a specific category or across the board. A budget can help you identify your problem areas so you can come up with strategies to make saving money easier. Once you have a list of your expenses and income, you can really begin to make changes in your habits. An emergency fund will protect your savings since it is money set aside to cover unexpected bills and expenses. If you still have debt, then you need to have about one month of expenses in your emergency fund. If this feels like too much, aim for $1000 to start. This will make it easier to focus on your other goals because you know you have your emergencies are covered. 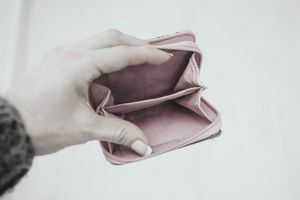 If you don't have an emergency fund, building one up should be your top priority before you aggressively pay down debt or purchase other items. Once you're on track with your emergency fund, set up a debt payment plan and look at how much you are making in debt payments each month and then think about how quickly that could add up if you were paying yourself instead. Make sacrifices in your budget so that you have more money to put toward your debt each month. Chances are that you are paying more in interest (especially on credit cards) then you are earning on savings that you currently have. It makes sense to pay off your debt before you begin aggressively building your savings. Take the time now to make it happen. When you want to save money, you need to be frugal. Find ways to save at the grocery store, on your utilities and your monthly bills. Switch plans and providers with insurance and cell phones to save money. You should consider cutting cable and choosing less expensive options to save on all of your expenses. Limit the amount you spend on entertainment so that you only spend on what is most important to you. Make a goal to cut back in your biggest categories by $100.00 each month. Once that becomes routine, cut back again. It's important to note that as you go through this process, make sure you still permit yourself an allowance and some fun money to spend on things so you don't feel deprived and resentful as you try to save. Once you are out of debt, and saving money, it is important to have clear goals for your savings. You may want to purchase a home, which requires a substantial down payment. You should always pay for your vacations and gifts in cash — that's a common savings goal. You should also work toward saving up and paying for a car in cash. Finally, some of your savings may be allocated for wealth building, buying investment properties or investing in the stock market. In short, it helps to know where you want your money to go because it helps you stay motivated to reach your savings goals. If you make saving money a lifelong habit, it can help relieve the stress of managing your money. As you make saving a priority, you will begin to automatically research prices before you go to the store. This will help stop impulse purchases and make you more aware of what you are spending. You can also build your savings automatically with a monthly transfer of the amount you want to save. The important thing is to start small and incorporate these habits into your daily life. You can't expect your financial situation to change until you make saving a priority.